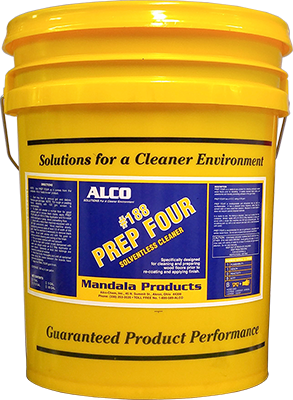 Prep Four Solventless Cleaner - Alco-Chem, Inc.
Prep Four is a ready-to-use product for cleaning previously sealed wood floors prior to recoating. It readily removes black marks and waterborne soil, thereby promoting adhesion of the gym finish. For best results, use with Crosslinker Supreme Court Gym Finish with Catalyst.